In the market for a new subwoofer? Well Bang & Olufsen have just launched their latest subwoofer creation the BeoLab 11. Its futuristic aluminium casing houses two 6.5″ drivers that are positioned facing each other giving fantastic bass performance with minimal vibrations. 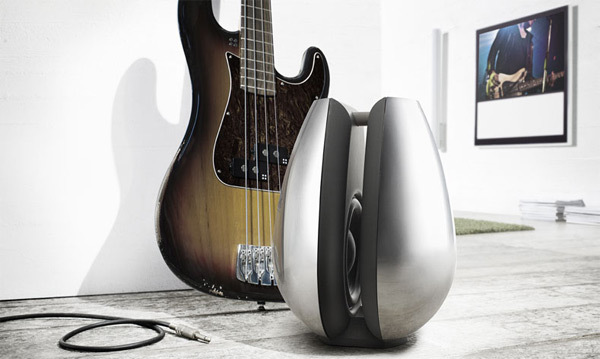 The unique acoustic design of Bang & Olufsen BeoLab 11 allows it to be used on the floor, in a corner, or due to its minimal vibrations, it is one of the few subwoofers in the world that can be mounted on a wall. Expected to be available in North America sometime in May for around $2000.